« What is VCP-NV – Series 2? 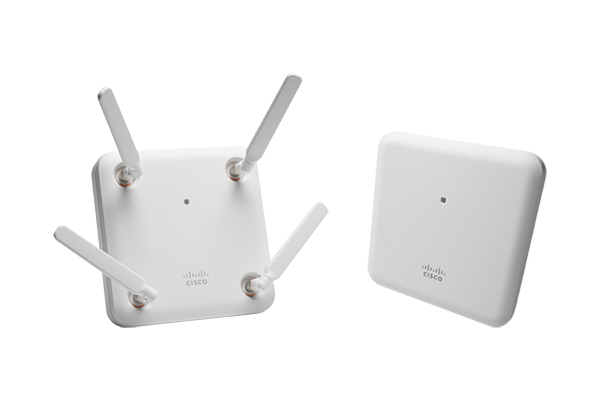 With the introduction of Aironet 1850 Series access points Cisco is offering Gigabit Wi-Fi for small and medium networks. The Aironet 1850 Series access points works on the latest Wi-Fi technology (802.11ac Wave 2). This access point can be integrated with Cisco Wireless controllers and most importantly the access points comes with dual Giga Ethernet card which are capable of supporting Link Aggregation Group (LAG). The Aironet 1850 Series access points works on both 5 GHz and 2.4 GHz range, but it worth to note for Network Architects and Network Designers that the Aironet 1850 Series access points offer Gig Speed only on 5 GHz range not on 2.4 GHz range. It’s interesting to see how this AP is going to perform in real world Environment with RF interference. It’s a good move from Cisco and may add some value to mobile users. Great, but are they also offering compatible cards enabling PCs and laptops to take advantage of this speed? Cisco is not into this business of providing compatible cards for PCs and laptops. There are many laptops and PCs work in 2.4 GHz and 5 GHz. And Cisco IS in the business of providing compatible cards. I recently bought a Cisco USB Wi-Fi adapter.